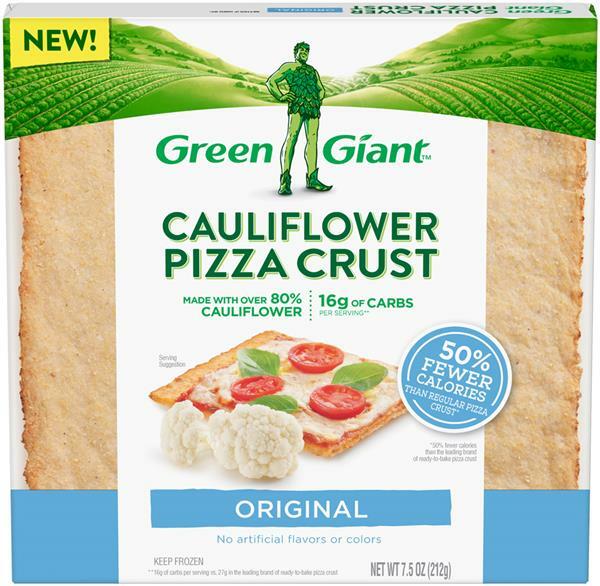 Yes, cauliflower and pizza in the same sentence. Wouldn't it be great to enjoy delicious pizza, but with half the calories* of traditional pizza crust? Cue the cauliflower! 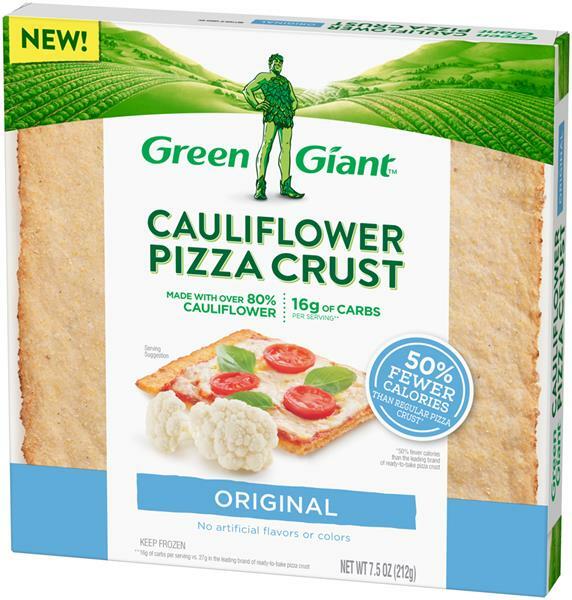 Green Giant Cauliflower Pizza Crust, made with real, simple ingredients, is super convenient— No prep work and clean up that comes with making a cauliflower crust from scratch. Make the swap and save the calories. For food safety and quality, follow the directions. 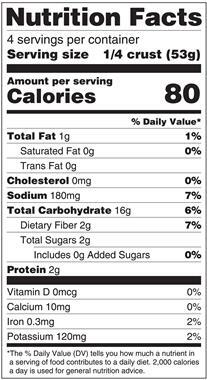 Before eating, cook thoroughly to at least 165degF. Keep frozen until ready to cook. Do not thaw. Refrigerate leftovers. Preheat oven to 425degF.Remove crust from tray and overwrap.Place on a baking sheet on center oven rack.†Bake 14-16 minutesRemove from oven and add desired toppings.Place back in oven and heat an additional 6-8 minutes until cheese is bubbling.†For a crispier crust: Bake crust directly on the center oven rack. Once toppings are added, carefully place back directly on center rack and heat an additional 4-6 minutes until cheese is bubbling. Cauliflower, Rice Flour, Corn Starch, Corn Flour, Cornmeal, Canola Oil, Salt, Black Pepper.